Legislation Would Require Smartphone Makers To Install Kill Switches That Let Consumers Remotely Delete Data From Stolen Phones And Render Devices Useless To Thieves. Syracuse, NY - April 11, 2014 - Attorney General Eric T. Schneiderman today was joined by Syracuse Congressman Dan Maffei, Mayor Stephanie Miner, Senator David Valesky and Syracuse Police Chief Frank Fowler at Syracuse City Hall to announce Congressman Maffei’s co-sponsorship of a bill – recently proposed in the United States House of Representatives – that would require a kill switch on smartphones to deter thieves and help end the violent epidemic of smartphone thefts. Attorney General Schneiderman also announced today that Senator Valesky has joined the Secure Our Smartphones (S.O.S.) Initiative. Mayor Miner and Police Chief Fowler are already members of the coalition, which includes prosecutors, police chiefs, attorneys general, public officials and consumer activists working to encourage the smartphone industry to implement meaningful solutions to stop the epidemic known as “Apple Picking” – the theft of popular mobile communications devices such as smartphones and tablets. "Smartphone theft is a serious concern in Central New York; many people are injured during these robberies," Senator David J. Valesky said. "The best solution to the problem is to make these phones unusable, and therefore of no value, if stolen. I commend Attorney General Schneiderman for his leadership and look forward to working together on this issue." Even as most types of property crime are falling, in communities across the United States and in the United Kingdom, the theft of smartphones has spiked dramatically. In the United States, one in three thefts involves a mobile communications device. Consumer Reports estimates that 1.6 million Americans were victimized by smartphone thieves in 2012. Last year, 50 percent of robberies in San Francisco targeted such a device. In New York City, the number was 20 percent, a 40 percent increase from the year before. In London, although crime overall is falling, offenses such as pickpocketing and bag snatches have risen by more than 15 percent this year. This is mainly driven by the theft of phones, with some 10,000 handsets stolen in the city every month. Street-level thieves feed a massive global marketplace for stolen phones that is too large or lucrative for any single community to stop. 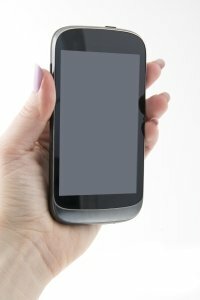 Mobile devices that are reported stolen in the United States and no longer able to access domestic cell networks can be reactivated to work in foreign countries. In Hong Kong, for example, iPhones are worth upward of $2,000 apiece. Launched early last year, the S.O.S. Initiative is an international coalition of prosecutors, police chiefs, state and city comptrollers, and public safety activists co-chaired by Attorney General Schneiderman, San Francisco District Attorney George Gascón and London Mayor Boris Johnson. Members of the initiative are committed to pressing the industry to find an effective way to combat the rise of often violent robberies involving smartphones. For more information on efforts by Attorney General Schneiderman, District Attorney Gascón and Mayor Johnson to combat “Apple Picking,” visit the San Francisco District Attorney’s website, the New York State Attorney General’s website or the London Mayor's website. You've Taken The SAT/ACT. Now What? Subject: LongIsland.com - Your Name sent you Article details of "A.G. Schneiderman Joins Congressman Maffei To Announce Co-Sponsorship Of Smartphone Theft Prevention Act"